Why must we ‘feed’ our soil organic matter? 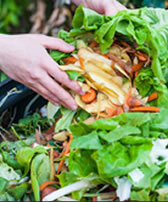 Why are Microorganisms so Important When Composting? Should my Bokashi Bucket be producing more liquid waste?